To be successful you do have to identify your outcomes but you also need to identify the underlying motivation of that outcome. If you are not clear on your intentions, and are not totally ready for change, it will be too easy to sleep in instead of going to the gym, or let your conversation time with your sweetheart fall by the wayside when more important things seem to come up (and they always will). Setting yourself up for success with your goals means getting crystal clear on what you’re really going for and why —before you make a list of what you want to achieve. If you’re committed to really achieving something important in your relationship this year, give yourself time to lay a better groundwork first by discovering your deeper motivations. 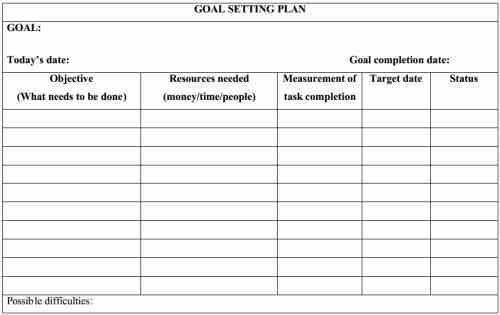 Here is how your can design a process for goal setting that really works. I want to invite you to take some time off, even if it's only 1/2 a day, and get out of your normal spaces to dream, plan, and strategize. For at least 1/2 day, better yet if you do it for a full day. (Just putting the day aside could be your goal #1!) You can do this on your own or with your partner. Before you look forward, you need to prime your mind for positive thinking by reviewing your success. That’s why I want you to take a look back at how much you’ve accomplished this past year. You'll be pleasantly surprised at how much I actually did in 12 months! When you start your goal setting through that lens, you'll realize it’s not that crazy to say, “I want to be all the way over there in 12 months.” It makes dreams seem more accessible, more possible. Take about 1/2 the time you have set aside to do this review. Don't be tempted to skip over this. When you sit down and write about all of your accomplishments, all the things you've learned, all the things you've failed at, and how you moved forward, it's an incredibly energizing way to start planning for the next year. Get as specific as possible. I count as accomplishments my general wellbeing, vacations, books I’ve read, and things I tried and failed at and learned from. If you’re not failing, you’re probably not trying hard enough. Trying new things is always something good to strive for. So, I want you to sit down and take a lot of time to write out all the things you accomplished this year. Write them out in terms of your career, personal well being, and your family. Write tangible and intangible things. Both. For example, I felt calmer this year, or I didn’t feel calmer this year but I took steps to feel calmer can both be accomplishments. Then, toast yourself and go eat something. Goals and achievements are just things. If you really think about it, how your goals change your experience of life is what you’re really going after. If you can start with that, you’ll discover your deeper motivation and be infinitely better set up for success. A word of caution: Make sure what you identify doesn't depend on what your partner does or doesn't due. If you want to feel happier and more positive, you can not make it depend on how your partner talks to you. It has to be based on how you talk to yourself and how you react to whatever is going on with your partner. Probably at some point in the past you have written down “your big goal.” Now is a good time to revisit that big picture goal. Things change, and they should! And before you continue down a path that you’ve been on for years, it’s worth rethinking if that’s even what you really want anymore, or if it’s just a default at this point. For example, maybe at some point your goal was to be a stay home Mom. But things have change both in the family and with yourself. At this point maybe what you really want now is to start your own small business, or to go back to school. Your big goal should be something that excites you, that brings you energy, that is still big enough for you. This goal should be bold and must stretch you. Some times, like I mentioned in a past blog post, you can even choose one word to describe it. For example, this year my word is CONSISTENCY. “Where do I want to be this time next year? “How do I want to feel?" Spend enough time describing what it will feel like to accomplish your goals because, ultimately, it's less about having the things, than it is about how those things are going to make you feel. Even if you end up not quite hitting your goals, if you feel the way you wanted to feel, you got what the feelings you wanted and that’s something to be happy about. Many people start here. But here is the thing, without the other steps, it will be much harder to follow through. In this process, the last thing you will do is work backwards to break that one-year goal into six month, three month, and one month goals to identify actions you need to take. Then turn your answer into SMART goals that are: specific, measurable, attainable, relevant, and time-bound. You need to get really specific about the steps you need to take each week to meet your monthly milestones, which will get you to meet your goal for the year. These need to be specific and they have to have due dates. You’re more likely to achieve a goal if you write it down. One study showed that 76 percent of those who write their goals down, rate their level of commitment, share it with a friend and check in weekly actually achieved those goals or were in the process of achieving them, compared to only 42% of people who just thought about their goals. If you want to make it happen, it's valuable to write it down and to commit to revisiting it frequently. One way to do this is to make a spreadsheet where you write weekly goals based on the monthly goals. Every week, you can go into the spreadsheet, record if you have accomplished the task (or not), and set your next week's goal. Schedule on your calendar specific actions you need to take and when. Then also schedule quarterly check-ins to make sure you are still on track. There are also sever apps out there that help you to do the same thing and they coordinate with your calendars. 8. Take time each week for reviewing and planning. Whether your goals are are personal, couple oriented, or a combination of the two, this process can be applied and will actually make goal setting work for you. I wish you the best as you work on your goals, big and small. And I hope one of your main goals will be to build a happier relationship this year! We will cover Steps 5 and 6 extensively in the one day intensive training I have designed to help you succeed at change: “RESET your brain for success.” The intensive day will happen every Sunday in January. During this 6+ hours LIVE online event, I will share with you advice, cutting–edge research and proven strategies...so you can RESET your brain to work in CONGRUENCE with your whole brain and heart to help you achieve your goals. We will use a hands-on laboratory practical style and you will start moving forward immediately! This is a great New Year's investment on yourself and your relationship!